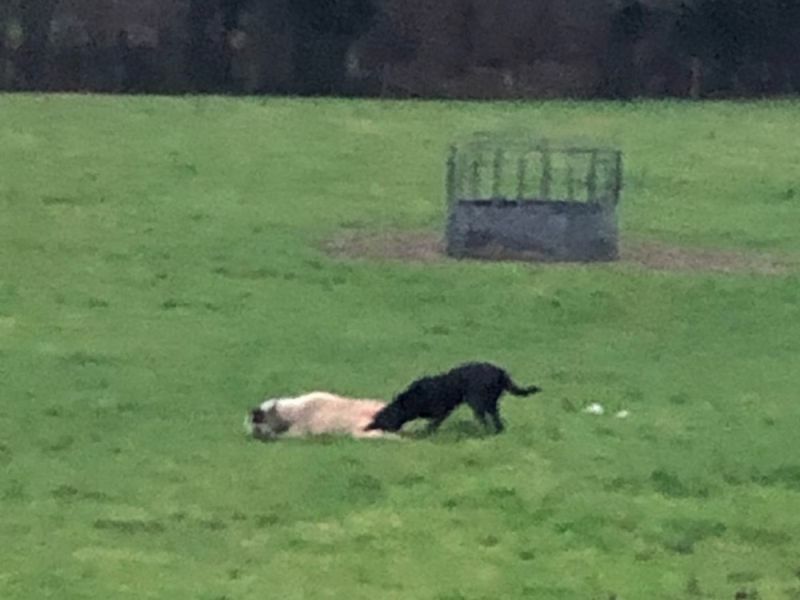 The owner of a black Labrador that savaged a sheep in Sussex has made herself known to police and will compensate the farmer. Police released a disturbing image of a dog attacking a sheep near Horsham in a bid to find the owner of the animal. The dog was photographed attacking the sheep in a field at Morris Farm, Old Holbrook, on January 16. However, the sheep that it attacked was so severely injured that it had to be put down. Following an appeal for information, the owner of the dog came forward and the matter is now being dealt with by community resolution with the farmer being compensated for the loss of their livestock. Sergeant Tom Carter, rural and wildlife crime lead for Sussex Police, said: “The owner of this dog has done the right thing in coming forward and the farmer will be compensated for the loss of their sheep. Livestock worrying is a serious crime, with 2019 already witnessing numerous cases with sentences successfully handed out. John Coughlan, 55, from Hertfordshire, was given a 12 month community order and ordered to pay out nearly £1,000 last week after his dog killed at least 13 sheep. Steve Young, 43, from West Yorkshire, was ordered to pay more than £800 in compensation after his puppy attacked a flock of sheep, killing four lambs. And last year, a man was ordered to pay over £2100 after being found guilty of worrying livestock with his out-of-control dogs.